How to collaborate on a processing activity? 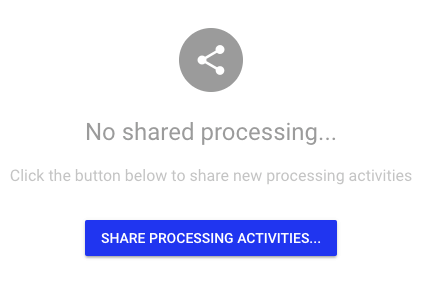 In this article we will find out how to share a processing activity with a collaborator. UTOPIA is a collaborative solution and it allows sharing a processing operation with collaborator in a simple way to give them the opportunity to suggest changes. The collaborator will receive an invitation email through which it will be able to change only the processing operations it has been granted to. Furthermore, all changes must be approved by the owner of the domain or by an admin user. To learn more about Approvals click here. 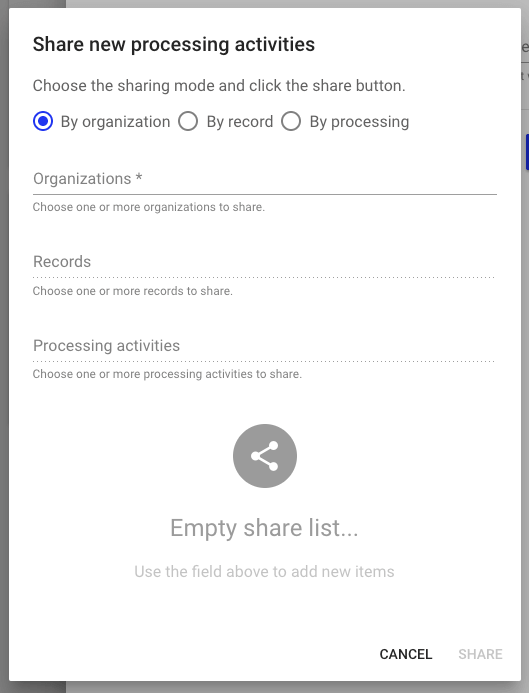 In addition to the individual processing activity, you can also share al processing operations of an entire organization or a single record of processing. For more information about user management click here.